This tutorial will walk you through creating a Web page that uses RadCloudUpload control. 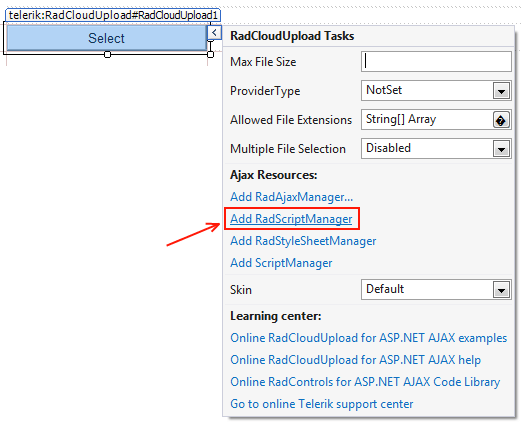 It shows how to use RadClodUpload to upload files. 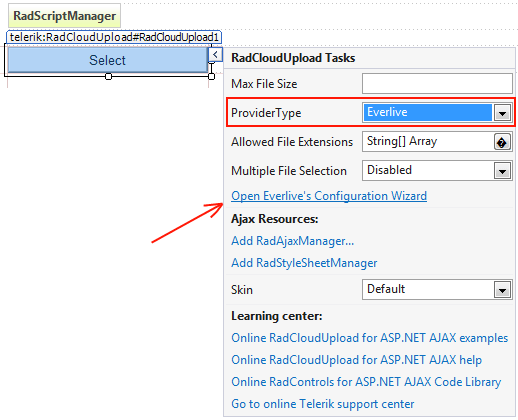 Create a new page and add a RadCloudUpload control to it. All Cloud Storage Providers are depending on third party assemblies. To learn how to reference and configure them look at the Telerik Backend Services (formerly Everlive), AmazonS3 or Azure Cloud Storages Sections.